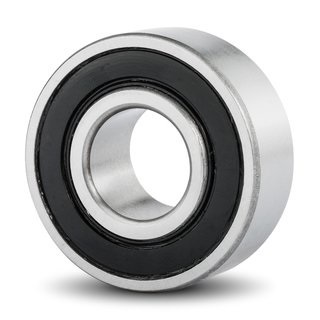 Series Self-Aligning Double Row ball bearings 2200-2RS are metric dimension series sealed enclosure. They are of the Conrad or non-filling slot design. Their compact sections make them particularly adaptable in applications where space is restricted. Some of the series are available open see 2200 Series. This section is set up for price on request please contact us for your special pricing.